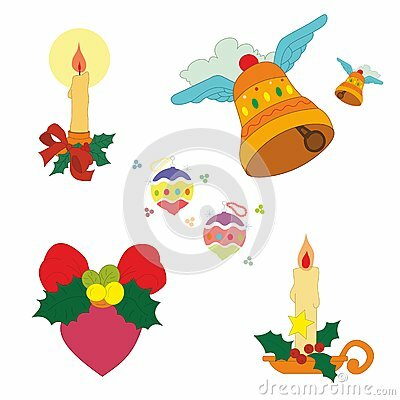 A colourful set of Christmas decorations. Vector in CMYK. Cosy and cute vector set of cards.